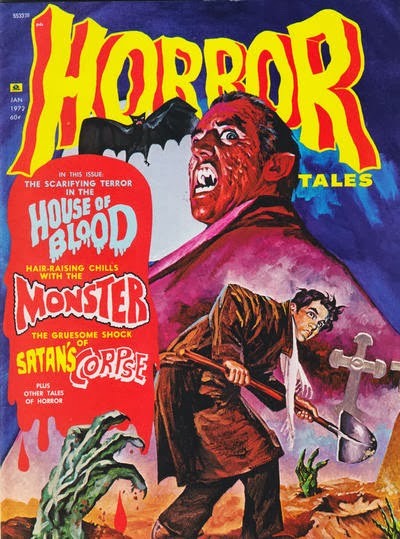 Thai student “MP” writes in requesting an Eerie Publications remake called House of Blood with art by Ruben Marchionne. 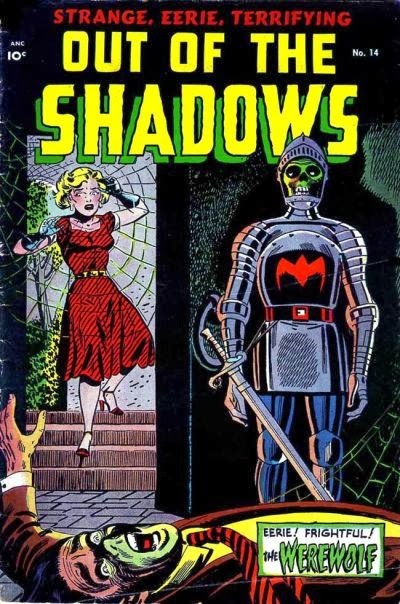 Unfortunately, I didn’t have it, but a quick screech for help to Mike “Weird World of Eerie Publications” Howlett and suddenly we are in business! 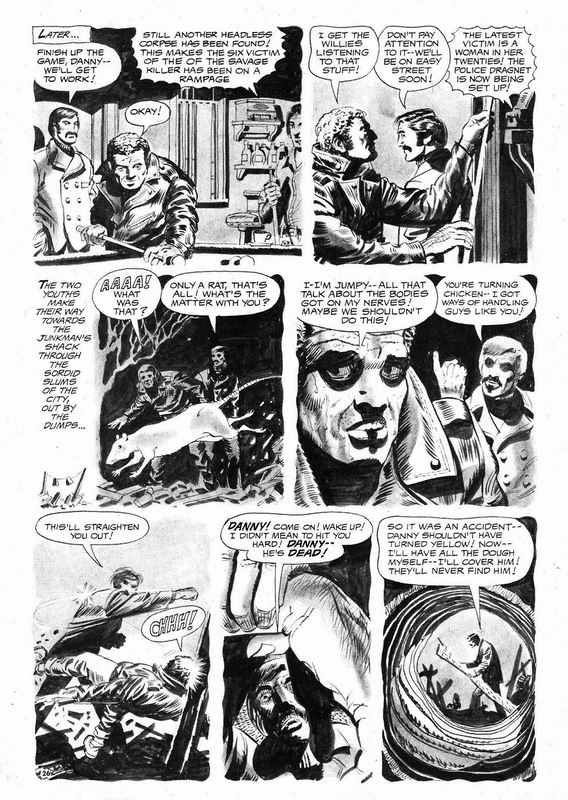 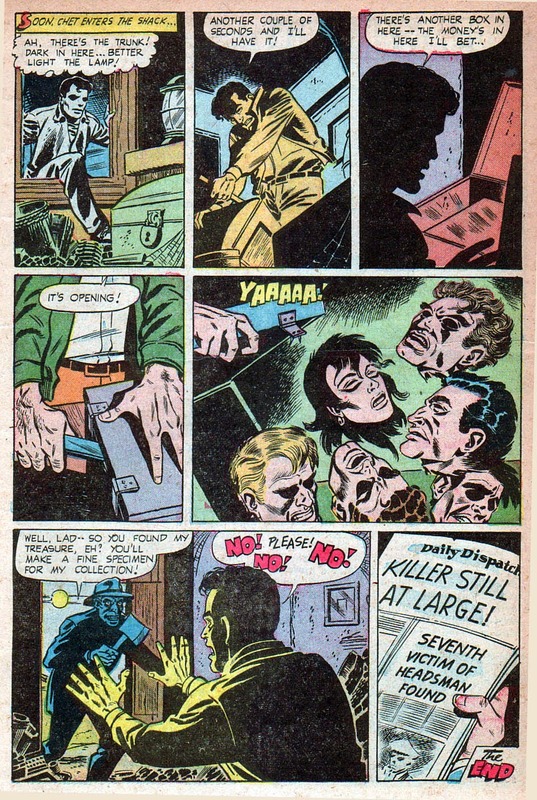 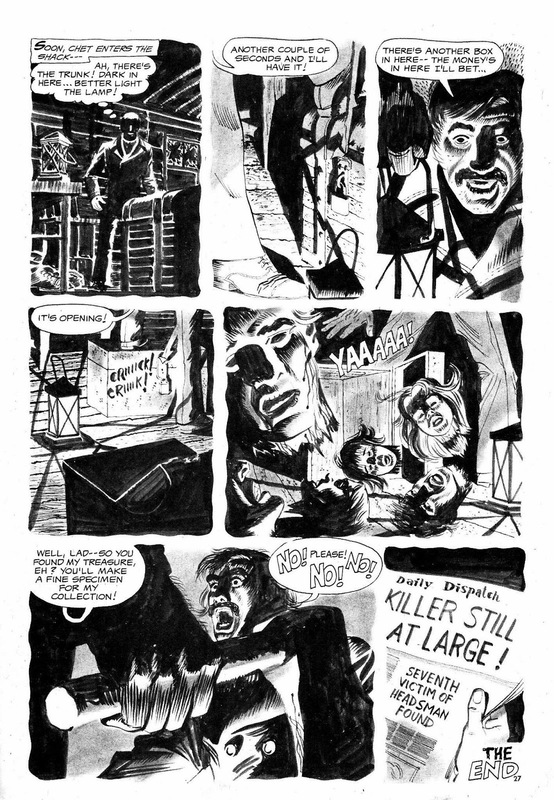 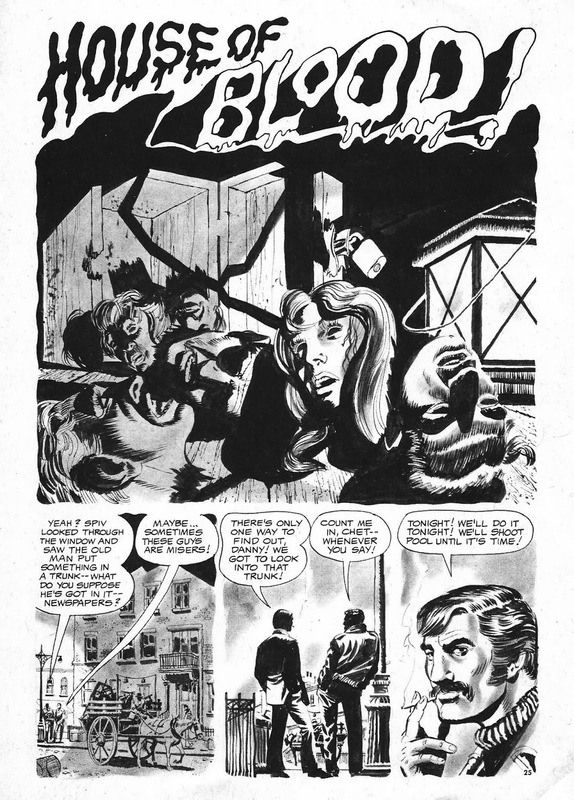 Howler’s scans come from the January 1972 issue of Horror Tales Vol. 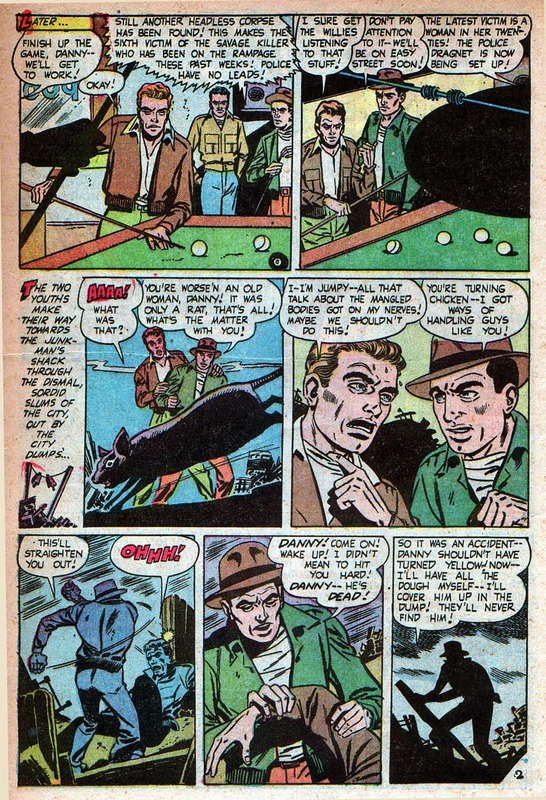 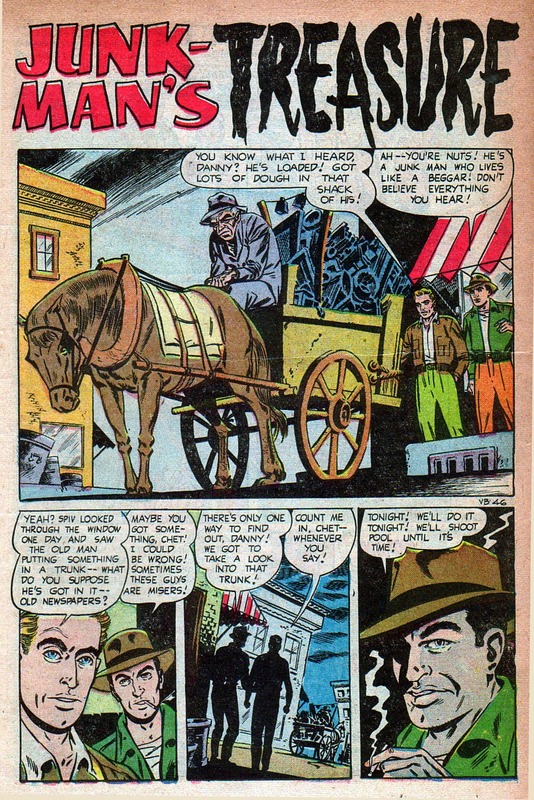 4 #1— and since the story itself is so short, I thought I’d round it out with an encore presentation of the original precode version (as featured here at THOIA back in 2007) called Junk Man’s Treasure, from the August 1954 issue of Out of the Shadows #14.